As descent route you can either go back the way you climb, or get back 100m elevation and then enter the valley beneath the peak, or, if conditions are good, as we catch them, you can enter the valley almost directly from the peak on one of the ridges (almost spines) that forms underneath the peak. Either way, check the conditions and get all information. For us, was a great climb, a little windy, and a terrific descent on a sunny afternoon. For sure we will try it next year too. Cheers and ride safe! Enjoy! 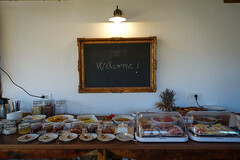 This entry was posted in 1. Bicicleta, 2. Drumetie, 3. Ski, 4. Dor de duca, 5. Foto, 6. Evenimente, 7. Utile, 8. Diverse and tagged Caltun, Fagaras Mountains, free touring, freeride, Lespezi Peak, Muntii Fagaras, Negoiu, Piscu Negru, romania, Schi de tura, Ski touring, stana, Transfagarasan, vertical riding on April 2, 2019 by Bogdan Vlad. First ride yesterday @ciocanumtbtrails, Bughea de jos, Campulung. Looks like the season has started exactly where it ended 🍻🚵‍♂👊. Nice to be riding my bike again. Cheers mates and hope this year will be at least as good as the previous! Ride safe! 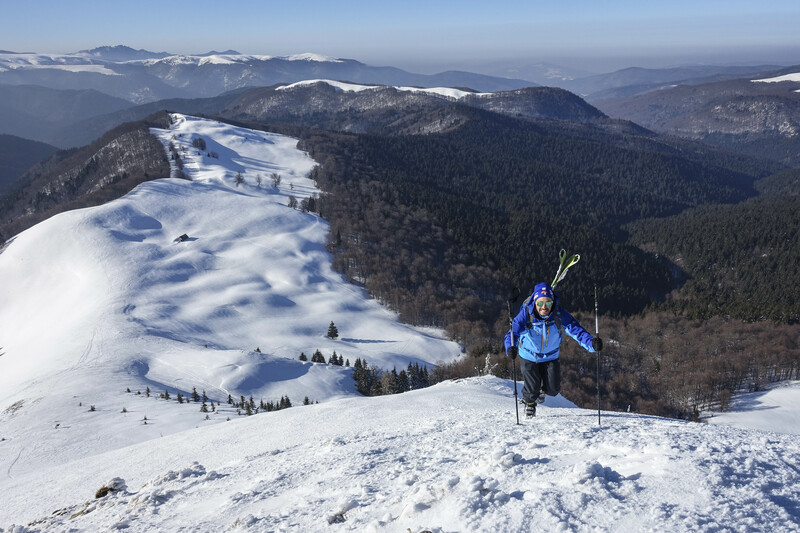 BARCACIU SKITOURING, BARRYVOX LIMITED EDITION. Last weekend we managed to reach Barcaciu mountain hut in Fagaras Mountains. It has become tradition to go ski touring here each winter. 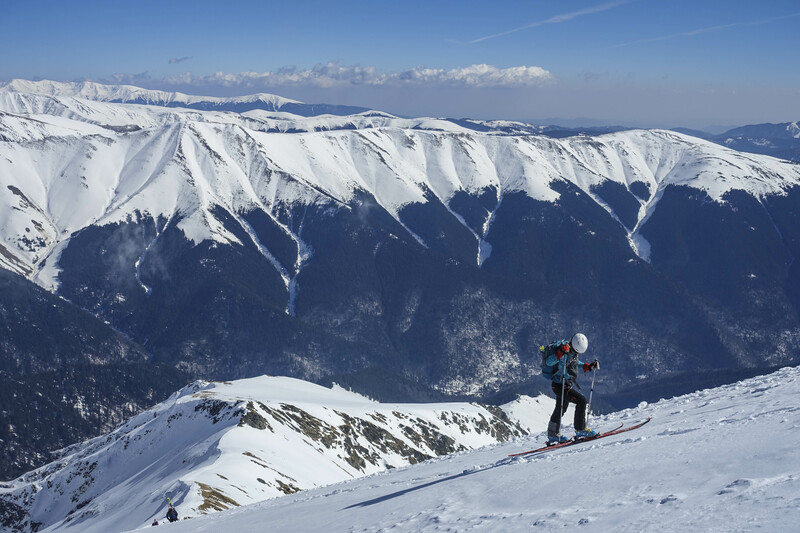 Barcaciu is holding an event, each year around this time, event aimed to promote the ski touring possibilities in this area of Fagaras Mountains. We could not be present at the event so we decided to go 1 week earlier and make our own limited edition of Barcaciu Ski Touring, Barryvox Edition 🤪👊🍻. 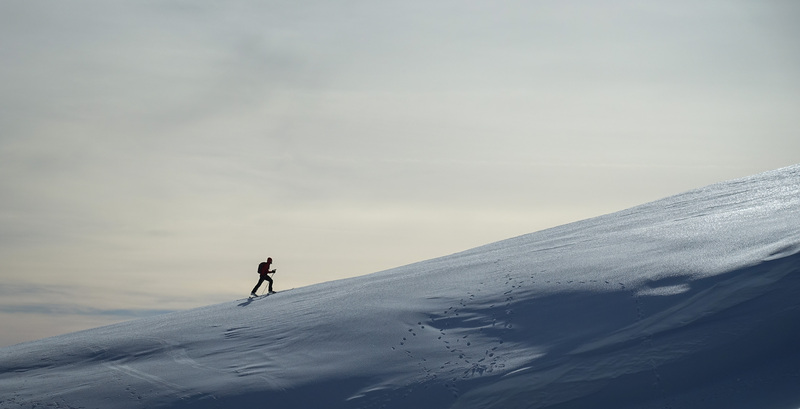 It was a full weekend and did almost everything that we wanted in terms of ski touring. This winter really delivered big time. We had some top score powder and some good weather with no wind. A little problem with visibility on Sunday but we managed anyway. 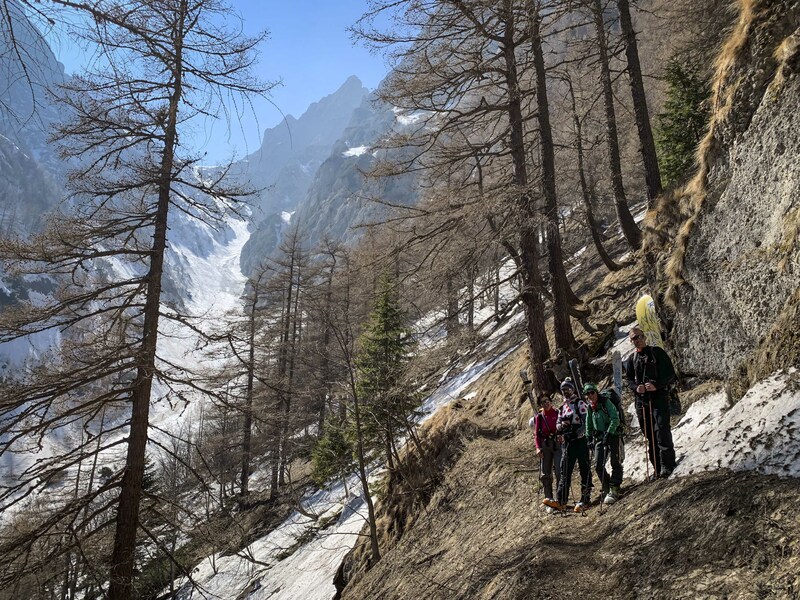 Because of the grate amount of snow this year, the couloirs are very generous, larger then before and you can descent greater. But all this comes with a risk and you have to be cautious and know your way around the area. 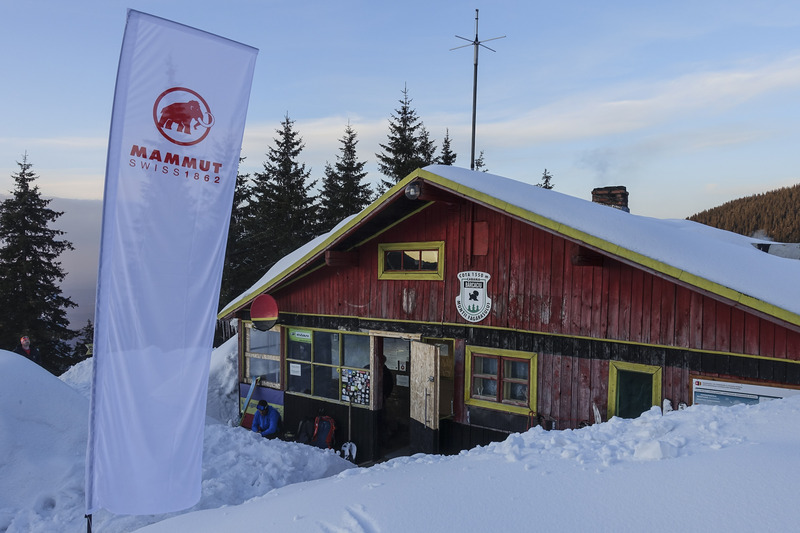 We did some cool descents in powder and on Sunday we played a little with some equipment from Mammut that Mihai had for testing and presentation. Cool stuff, light but reliable equipment as I have seen so far. After making a snow profile and fool around with an avalanche backpack, we did a classic descent in Puha Valley. Overall it was, as I said, a full weekend and we now have some fresh memories of Barcaciu to last us a while. As one said to me, you never regret going, so, go explore! Ride safe! This entry was posted in 2. Drumetie, 3. Ski, 4. Dor de duca, 5. Foto, 6. Evenimente, 7. Utile, 8. Diverse, Uncategorized and tagged avalanche, avrig, barryvox, Cabana Barcaciu, freeride, mammut, Muntii Fagaras, profil zapada, romania, safety, Schi de tura, Ski touring, transciver, vertical riding on March 8, 2019 by Bogdan Vlad. 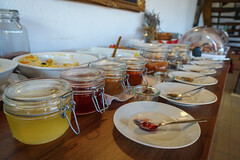 Last Sunday we got lucky in Grohotis mountains, near Ciucas. This place have so much to offer, just this year I really got it :D. Bluebird day and some fresh powder in the mix. I was pretty tired but as one said, “you never regret going”… cheers mate! Enjoy, ride safe and have fun! Made it to the top! 4th ski touring day in Ciucas mountains has been great. No more fog, just a perfect sunny bluebird day, great for pictures and with corn snow and hard pack on descent.